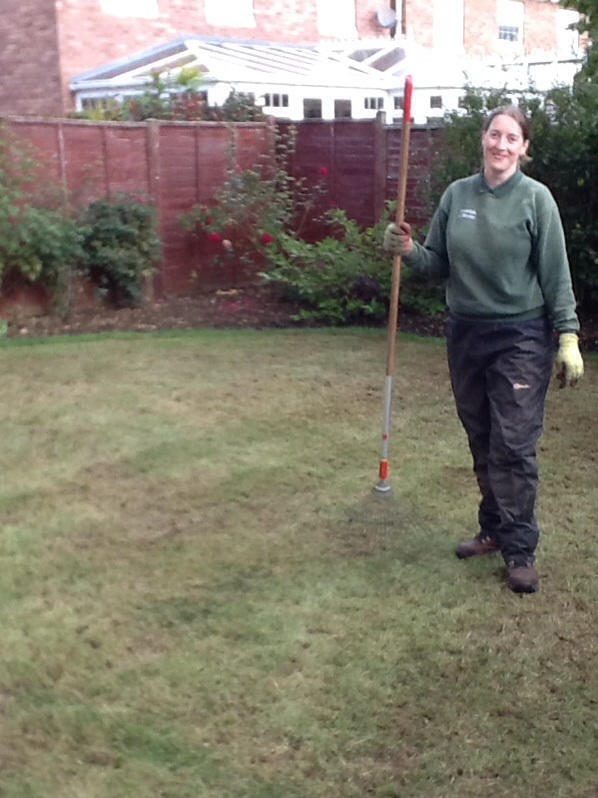 Prior to this visit we treated with a 'weed and feed' compound which had a great effect. 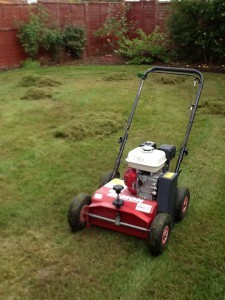 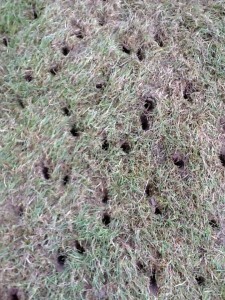 First the lawn was scarified and then aerated. 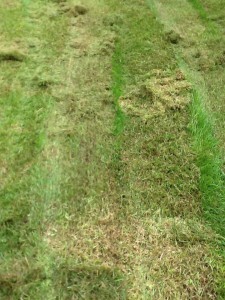 We removed a large amount of thatch from the lawn. 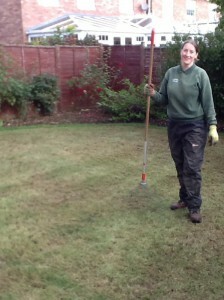 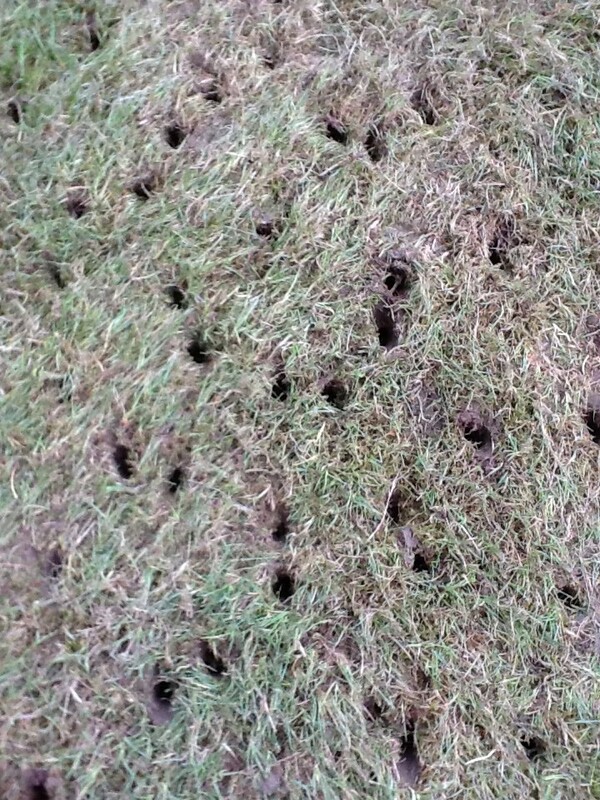 The aerator was large and heavy. 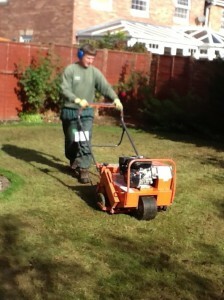 this enabled it to remove large cores from the lawn which will really help improve its health. 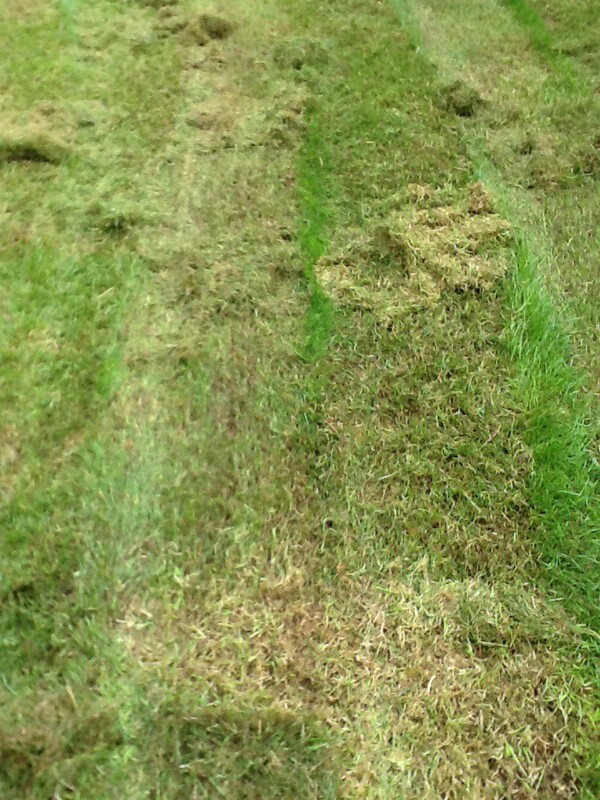 The end result is a rather ravaged lawn. 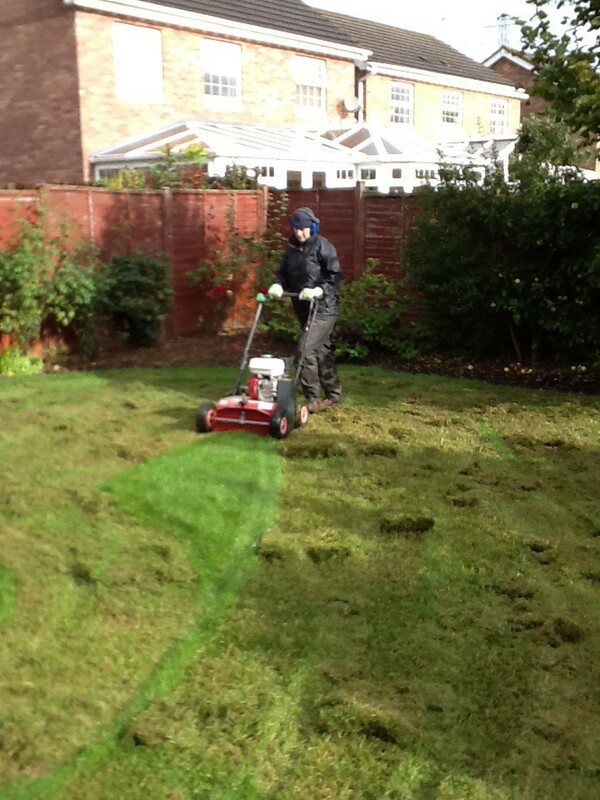 Its all part of the process though. 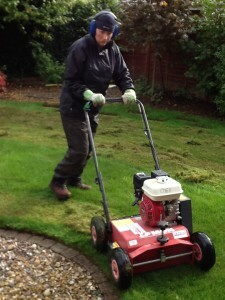 The next job will be to top dress the lawn generously and then reseed it. 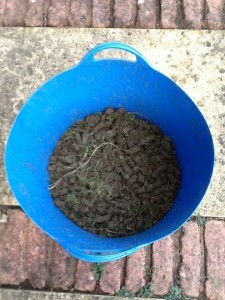 when it starts to grow again it will be twice as healthy!